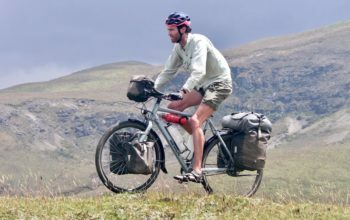 Modern bike tourers have phones and cameras and GPSs and laptops and tablets… and a whole manner of associated devices. 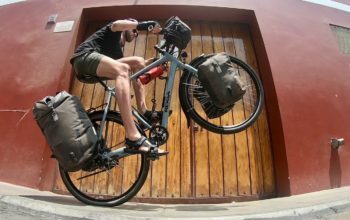 This isn’t a debate about what we should be carrying, as we don’t need electronic goods to travel by bike, but hey, life can often be made easier with their assistance. 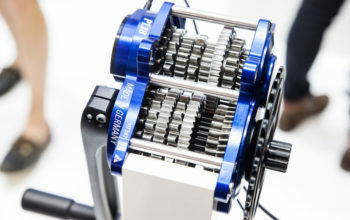 With sustainability and gadgets in mind, using an energy efficient dynamo hub to charge your devices makes sense. 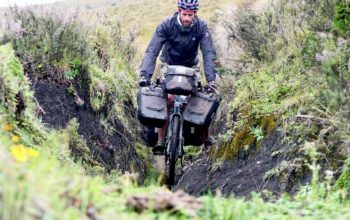 The extra resistance incurred on a loaded bike is far from noticeable and it gives us the freedom to camp wherever we want. 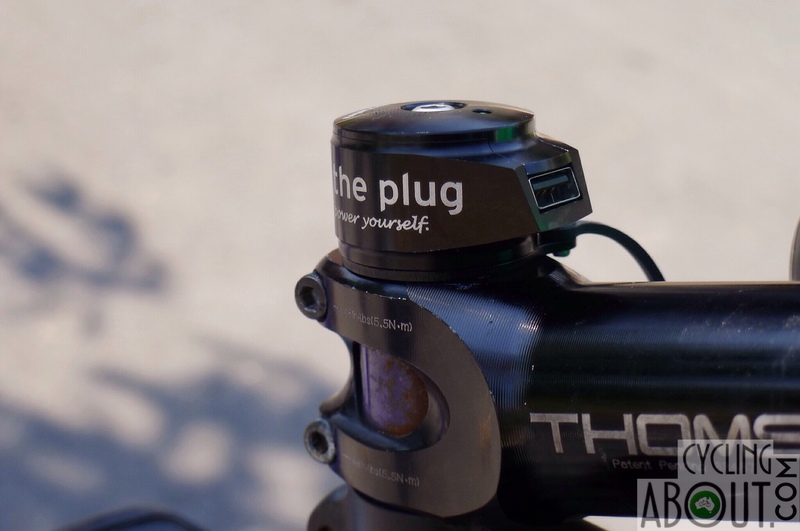 The Plug III is a USB port at the headset cap which draws power from a dynamo hub or sidewall dynamo. Sneaky electronic parts hide away in your steerer tube providing your bike with a very clean look, with a minimal weight penalty (perhaps 150g). The Plug cleverly converts AC into DC power from your 6V dynamo for charging USB goodies. The Plug III produces a constant USB charge from the relatively low speed of 12 km/h (7 mph) which is achievable by even the most laden tourers under your average conditions. The inbuilt electronics are compatible with the most recent smartphones and nearly all USB rechargable devices – including the Apple iPhone. The Plug has been produced by Tout Terrain/Cinq5/Supernova over the last five years now, and to be honest, it’s pretty close to perfect. Out of all dynamo power supplies on the market, The Plug 3 is BY FAR the neatest, most theft-proof design. What’s new with The Plug III? The Plug III differs from its predecessor, The Plug II, by achieving USB’s 5V/500mA current at lower speeds. 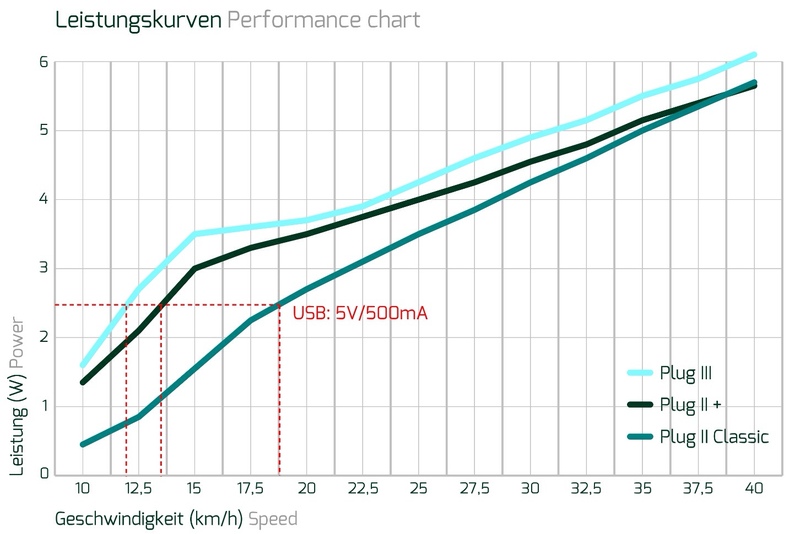 The Plug III hits 5V at speeds 2km/h lower than the previous model and 7-10km/h slower than models before that. This product is like a fine wine; only getting better with time. The power amplifier (PAT II) comes as standard with The Plug III. 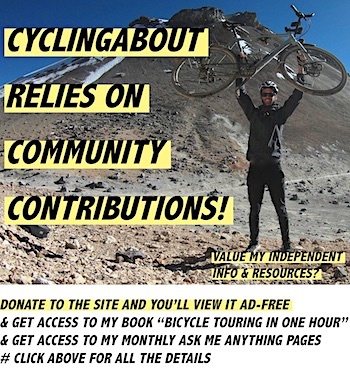 For cycle tourers with heavy loads (like me! ), having the PAT II means I can charge devices at low speeds. Installing The Plug 3 is a rather easy task, although for best results it could be worth hiring a professional. You will firstly need to remove your current star nut, replacing it with the special one supplied. 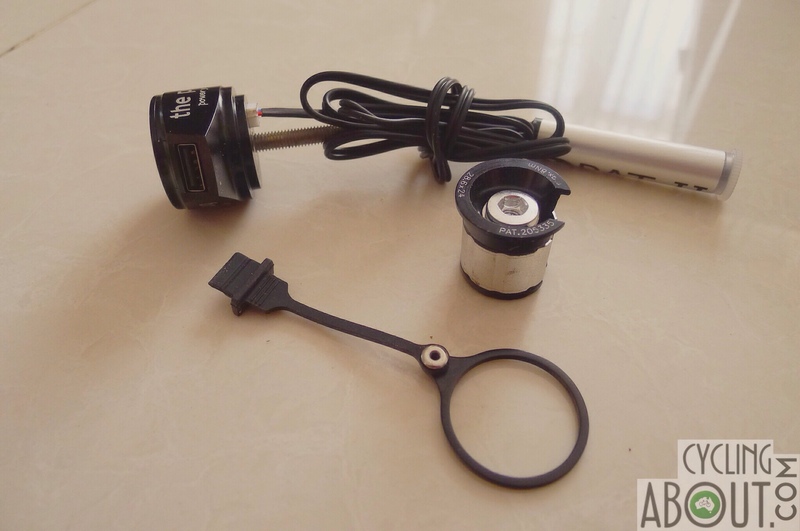 The PAT II will already be installed to The Plug from the factory, so once the cable is dropped down the steerer tube, it is simply a case of adding the spades to the end of the cable. I didn’t need to cut down the cables at all. Once the spades are connected to the hub, give the wheel a spin to see if the green light goes on. Zip-tie the cable to your fork to finish the job. 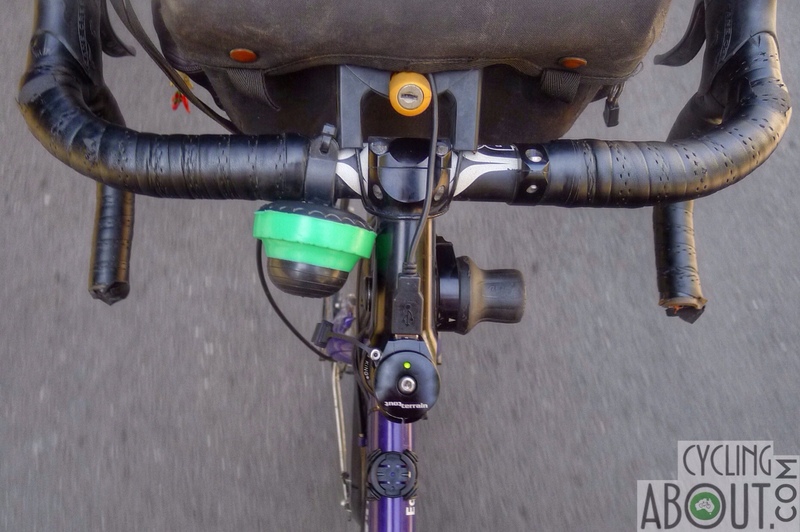 You can face the USB port in whatever direction you like, but for bike touring I feel that the USB plug is best faced towards the front of the bike, as that is where the gadgets are mounted and where the handlebar bag sits. If your electronic goodies are located in a tri-bag or framebag, you might want to mount the USB port towards them instead. There is a green LED light at the top of The Plug which switches on when there is enough power to charge USB devices. If the LED flashes, the device you have plugged in is consuming too much power, and hence, the required 5v for charging is not running constant. In this situation, The Plug switches itself off and tries again. 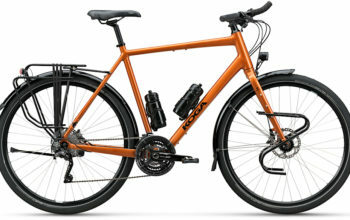 In order to hit the current required to power my USB devices (5V/500mA) I need to be travelling between 11-12km/h on my Schmidt SON28 dynamo 26″ wheel. For some devices, I need to travel a few km/h faster to make up for their higher power consumption. If I dip down to say, 10-11km/h, I have about 30 seconds before the charge dries up. The Plug does NOT come with a cache battery. This means that you can ONLY charge electronics when you are travelling consistently over 12km/h. Some users have reported that their devices are not happy with the power on/off, so when travelling at less consistent speeds, I recommend charging directly into an external battery, and from there, charging your devices at a time convenient. The power amplifier cable (PAT) is able to be completely disconnected from The Plug III. Its removal changes the charging range, making the charge kick in at about 17km/h and lifting the maximum charging speed to over 50km/h. As I rarely average over 40km/h, I have no intention to remove my power amplifier, but can see the merit in perhaps doing so on a road bike. At speeds over 40km/h, The Plug will switch itself off to avoid damage to your plugged-in device. This speed-relevant threshold will vary depending on your device and it’s current charging state. The protection mechanism is heat sensitive so it can take a moment before The Plug restarts. I actually haven’t noticed The Plug ever switching off at high speeds, but then again, I rarely look at my phone or GPS when descending. In appearance, it seems that The Plug is not waterproof, however the electronics inside are protected with a waterproof sealing liquid. This keeps moisture and corrosive water out of the electronics as well as protecting the circuitry against unwanted vibrations. The Plug III comes with a neat silicon plug to protect the USB interface when nothing is plugged in. Tout Terrain warn users against cleaning their bike with a high pressure hose for obvious reasons. After spending a decent amount of time in monsoonal rain, my USB interface is a bit rusty, however that doesn’t seem to affect the function of the product. What do I charge with The Plug? I have a whole bunch of USB rechargable gadgets, including an Apple iPhone 5S Smartphone, a Garmin Edge 800 GPS, a Pedal Power 6700mAh External Battery, a Sony TX10 Digital Camera and an Airstash Pocket Server. You can of course charge any USB powered device including MP3 players, GoPro cameras, Kindles, headtorches, rechargable LED bike lights and AA/AAA/CR123 batteries. What can’t I charge with The Plug? Devices The Plug III can’t charge well include those that require 1 amp or more of current, such as an iPad or some of the larger external batteries. This is due to the limited output of bicycle dynamos rather than The Plug itself. You can however charge into an external battery and then charge your power hungry devices from there. 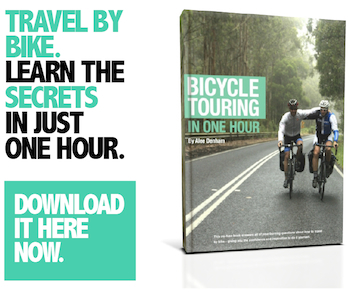 It is possible to run more than just a USB port from your dynamo hub. To operate lights and the USB simultaneously, you can use piggyback spades on your cable, or you can even splice your light and power supply cables together into one. Although I haven’t tried it, from most reports you will need to be averaging over 25km/h to make full use of both your lights and USB. If you are travelling by plane, you might be concerned that The Plug will make a difficult job of taking your stem off. 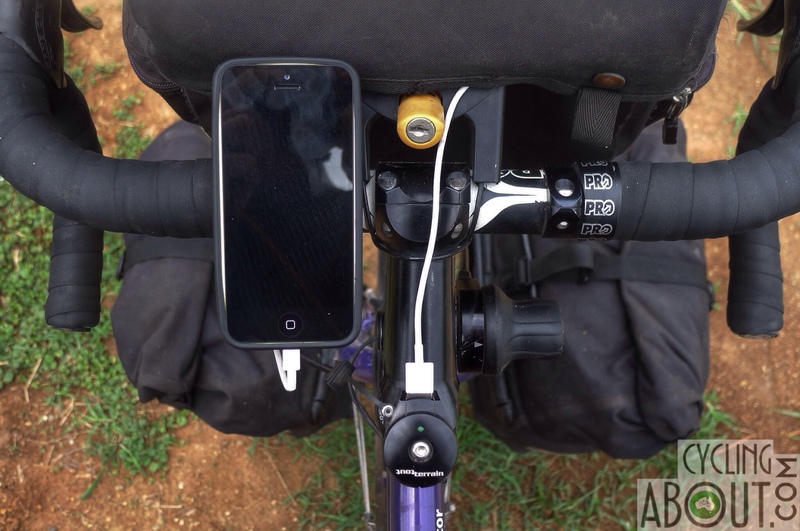 But concern no longer, as underneath the USB port is a cable which can be disconnected easily, allowing you to take your handlebars off without any trouble at all. Users of previous models have reported that their Plugs (with PAT attached) have stopped working at speeds less than 27km/h, or turned on/off erratically at all kinds of unusual speeds, damaging devices that are plugged in. Tout Terrain have insisted that these users have had faulty models, but the problem seemed to be quite widespread amongst users. It is my experience, which is also echoed by Tout Terrain, that these issues are completely fixed on The Plug III. – This is easily the neatest solution on the market. It is simple, user friendly and looks great with the wires hidden away. – It’s pretty well theft proof. One thing I hated about other power supply products I’ve used was that I would have to take them on/off the bike whenever I locked up in the street. I would buy The Plug for this reason alone. – It charges at really low speeds. 11-12km/h as an average speed is not hard to achieve for most tourers. 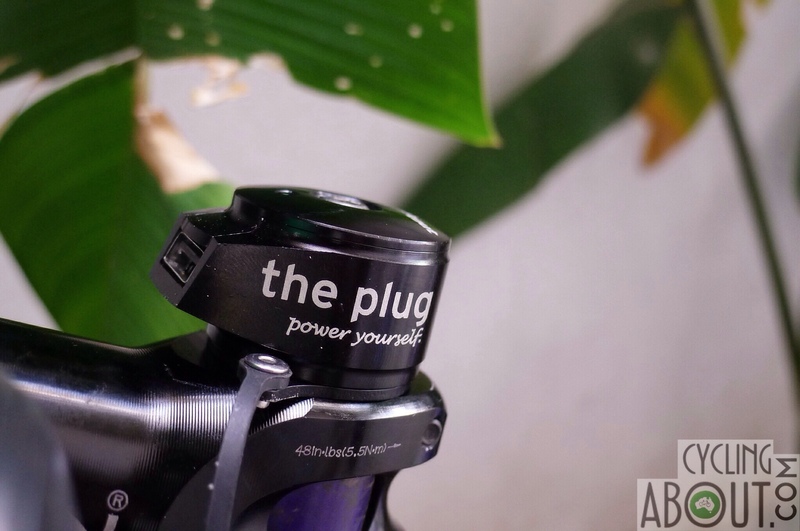 – The Plug has been refined over a five year period. Every release has been better and better and reliability issues have been addressed. I feel that The Plug is now near perfect. – It’s $215 USD. That’s over 2x more than some other power supply products, which effectively do the same job. To me, this is the products biggest downside. – You can’t mount anything to your stem. 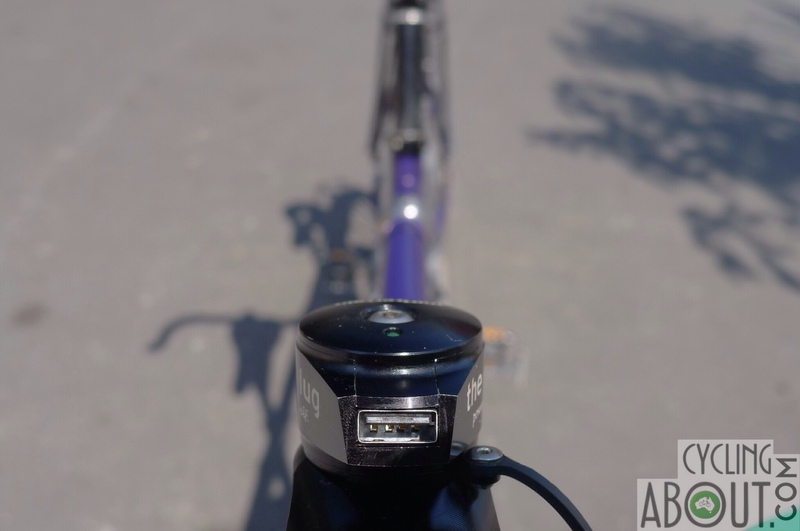 Ok, so you technically can if you’re prepared to have the USB plug facing towards the rear of the bike, but by doing that, charging cables have to make a 180 degree turn back to the bars – and that’s just not neat. – Charging in the rain is dubious, as the USB interface is exposed to the elements. I avoid it in most cases. The electronics for The Plug are waterproofed, so that isn’t the concern, it’s more the rust damage to the USB interface and charging cables. I’ve seen some users make a little raincover for their Plug with the end of a soft drink bottle. – There’s no cache battery with this product, meaning that when you drop below 12km/h for too long, you will loose charge to your device. I don’t actually see this as a big issue: if I can’t hold a consistent speed, I charge into an external battery or simply just unplug altogether. Tout Terrain have just released an external battery for this purpose. You can catch my List of Hub Dynamo Power Supplies for USB Devices for lots more information on hub charging. I also have the Ultimate Power Resource: Dynamo Hubs, Solar Panels, Power Supplies and External Batteries which includes information on many different ways you can keep your devices charged. The Plug III has come a long way since it was first conceived all those years ago. With the power amplifier as standard, power output is available at speeds which most cycle tourers can easily average. Aesthetically, The Plug 3 kicks all the goals: it is neat, well-built and obviously quite user friendly… just plug your USB cable in. I’ve now been using The Plug III for over 10000km of loaded touring, on smooth and rough roads, through monsoonal rain and in temperatures above 50 degrees celcius. I’m feeling pretty confident The Plug will last for many adventures to come too. 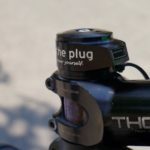 Well, if you want to charge stuff everyday, if you want to lock your bike up on the street without removing anything, if you want to have as many cables hidden away as possible, if you want your bike to look neat as possible – The Plug III has you covered.